One of Daughter Earth's main focuses is to help protect the wildlife and habitats of Sumatra. 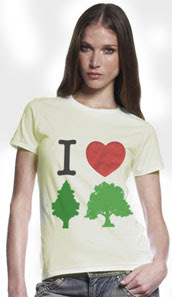 We donate funds from most of our shirts to SOS Orangutan's tree replanting project. Sumatra has a very unique biodiversity and is one of the worlds quickest disappearing forests. A few days ago WWF sent out a press release Successes in Sumatra Bring Hope for Wildlife. The governors of Sumatra all came together in a meeting and are committed to restoring and protecting their natural resources. 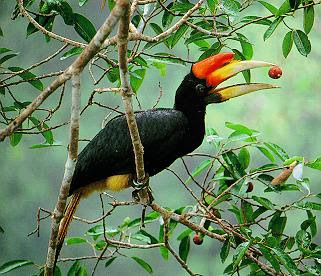 They are expanding Tesso Nilo National Park to more than twice its original size. They are fighting with paper industry giants to protect their land. The future of Sumatra's forests is looking up. 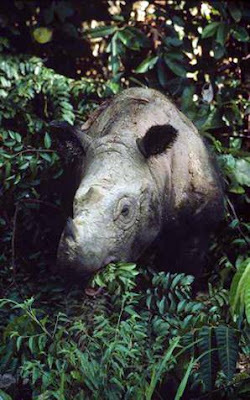 This critically endangered rhinoceros that once roamed all of southeast Asia has only 6 substantial populations remaining, 4 of which are on the island of Sumatra. There are thought to be less than 300 individuals Sumatran Rhinos left in the world. 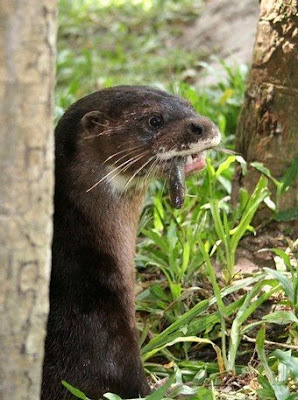 This otter is so rare that it was actually thought to be extinct in 1998 because there had been no sightings of it for so long. In 2005 it was rediscovered and since they have found few tiny populations of the Sumatran Otter. 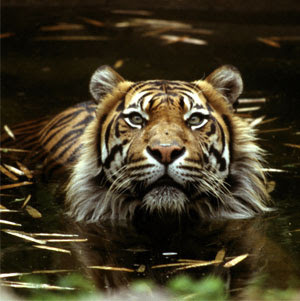 The critically endangered Sumatran Tiger is one of the rarest subspecies of tiger who lives only in Sumatra's forests. There are less than 500 Sumatran Tigers remaining in the wild. 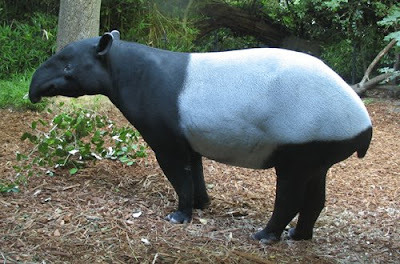 Because of its large size the Malayan Tapir has no natural predators. It is still in threat of becoming extinct because of human activity like deforestation for agriculture. Not only does the Slow Loris suffer from habitat loss like the rest of it's Sumatran neighbors, it also suffers for being too cute. Yes, too cute, the Slow Loris is the victim of the terrible wildlife trade because people think they are so cute and would make a nice pet. For more information on the suffering Loris's face when they are made a part of the pet trade visit ProFauna Indonesia. 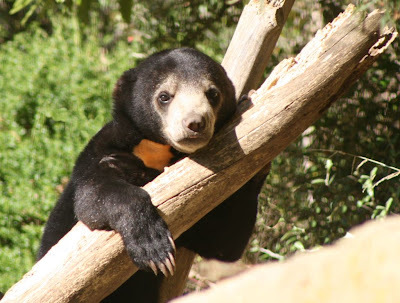 While the conservation status of the Sun Bear is currently unknown due to insufficient data it is also considered vulnerable because of its loss of habitat. This unique looking bird is found only in the highest rainforests in Sumatra, Borneo, Java and the Malay peninsula. The Sumatran Elephant is a critically endangered subspecies of the Asian elephant. It is smaller than there cousin the Indian elephant and found only on the island of Sumatra. 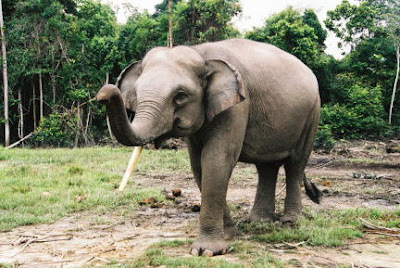 There are thought to be between 2000 - 2700 Sumatran Elephants remaining in the wild. Over 80% of there habitat has been lost to agriculture. 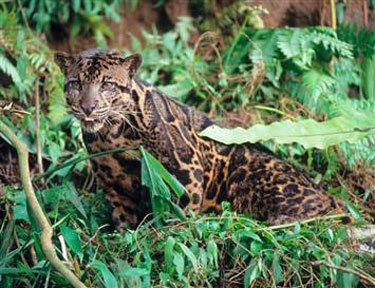 The Bornean Clouded Leopard was just newly listed as its own species in May 2007 when scientists realized its DNA differed greatly from the mainland clouded leopard. The Bornean Clouded Leopards lives mainly in Borneo and Sumatra. 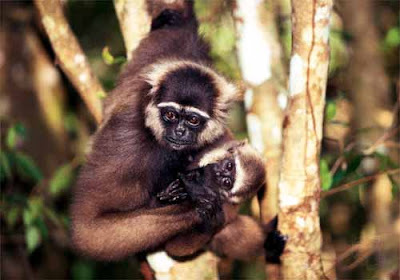 This endangered gibbon primarily lives on the island of Sumatra. 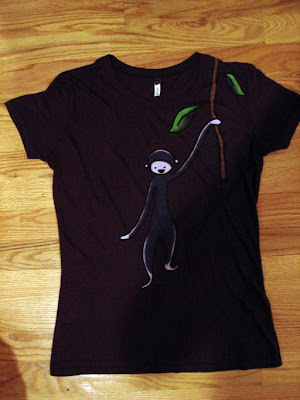 See Daughter Earth's new Gibbon Shirt, which will be available soon, below. The Sumatran Rabbit is critically endangered and lives only in the Barisan Mountains of Sumatra. 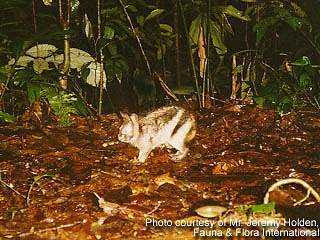 This rabbit is so rare that there have only been three sightings since 1972. 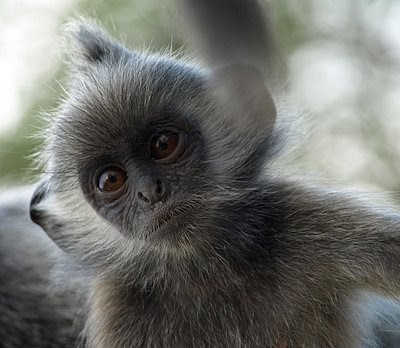 One of the many primate species residing in Sumatra. 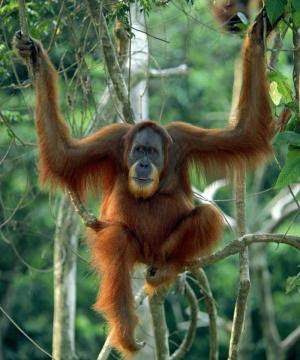 The Sumatran Orangutan, is the rarer of the two species of orangutan and is critically endangered. There are less than 8000 individuals remaining in the wild. Here are links to some of the great organizations working to save Sumatra's forests. 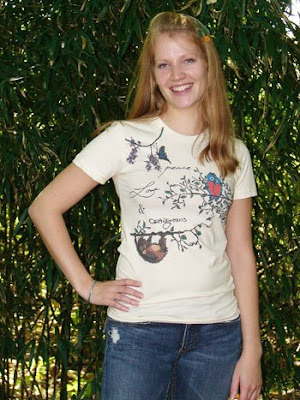 You can also buy Daughter Earth products who proceeds benefit Sumatran Rainforests. 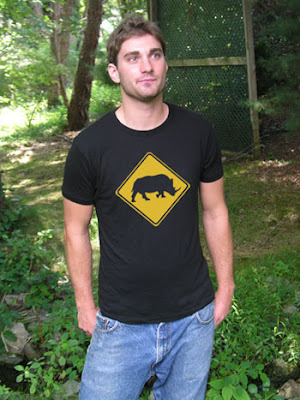 This "Daughter Earth" shirt, "Rhino Crossing" and "Peace Love and Orangutans" shirt are currently available at www.daughterearth.com. 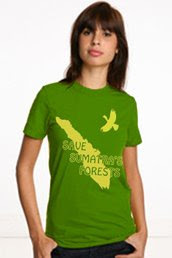 These three new shirts, benefiting the Sumatran Forests, will be available by mid November at www.daughterearth.com. UPDATE: Another article on the Slow Loris trade.